Three time holder of the World Welterweight title who set a record by appearing in 37 title bouts. He was a talented youth fighter, before making his professional debut as a 19-year old. During his 25-year career he amassed a record of 213-52-43. He was born in Clinton, New York. 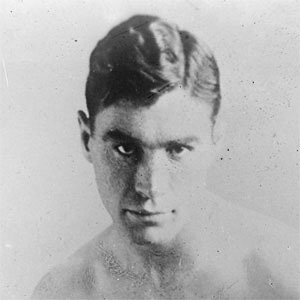 His 1922 fight against Mickey Walker is the influence for the story "Fifty Grand" by Ernest Hemingway.